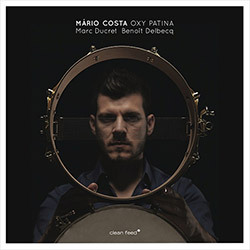 Drummer, composers and electronic artist Mario Costa in his first solo album as a leader, presenting 9 original compositions performed at the 26th Festival de Jazz na Praca da Erva in a trio with French improvisers Benoit Delbecq on piano, prepared piano and synth, and Marc Ducret on guitar, a great album and an absolutely stunning concert by three masterful players. 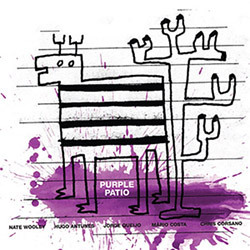 A very open album of improvisation, using an intensely responsive section of three drums and one bass, with Wooley in amazing form playing above the fray, from introspective reserve to seething runs, supported by a wicked undercurrent of astounding, criss-crossing rhythm. 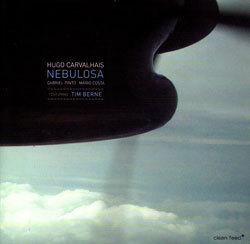 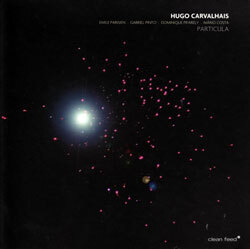 Following his successful "Nebulosa" debut CD, Portuguese bassist Hugo Carvalhais augments his trio of Gabriel Pinto (keys) and Mario Costa (drums) with French soprano saxophonist Emile Parisien and violinist Dominique Pifarely.